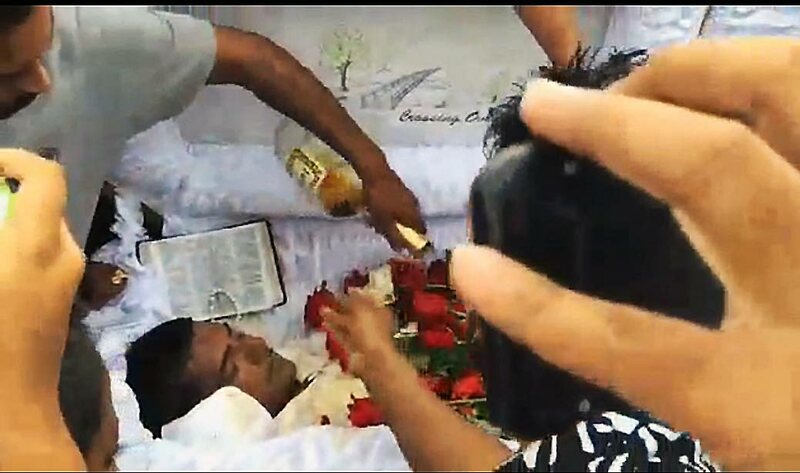 COGNAC SEND-OFF: This screen grab, taken from video images posted to social media, shows a mourner pouring Hennessy cognac on the body of Phillip Basant, brother in law of murdered auto dealer Sheron Sukhdeo. Basant, who himself was gunned down, was cremated on Tuesday. IN a send-off similar to that of his murdered brother-in-law Sheron Sukhdeo, mourners on Tuesday poured bottles of champagne over the body of Phillip Basant. But videos circulating on social media of the funeral were criticised by Facebook users. “What type of foolishness is this?” one viewer commented. Basant, 28, was shot dead on Friday last only 39 days after Rachael’s multi-millionaire real-estate and car-dealer husband Sheron, 33, was gunned down in almost the same spot in Charlieville. Basant was buried on Tuesday at Cemetery Street, Charlieville, after a service at Caroni Savannah Road in Charlieville. Despite the criticism, people also said Basant “went in style” and many extended condolences to the family. In a similar fashion, during the March 30 funeral for Sheron, mourners showered the body with Moët champagne at the Waterloo Cremation site in Carapichaima. Referred by associates as “World Boss,” the corpse of the father of two had thick gold chains with massive medallions around his neck. A pair of Timberland boots was also in the casket. Moments before the funeral pyre was lit, relatives removed the jewelry from around Sukhdeo’s neck before his casket was placed in the fire. Police are yet to make any arrests in both murders. IN SCENE similar to his own funeral, murdered auto parts dealer Sheron Sukhdeo's brother in law Phillip Basant also got a champagne send-off at his own funeral on Tuesday. Similar condemnation was expressed when videos of Sukhdeo's cremation showed his associates pouring champagne, whiskey and cognac onto his funeral pyre. Basant was shot dead last Friday. 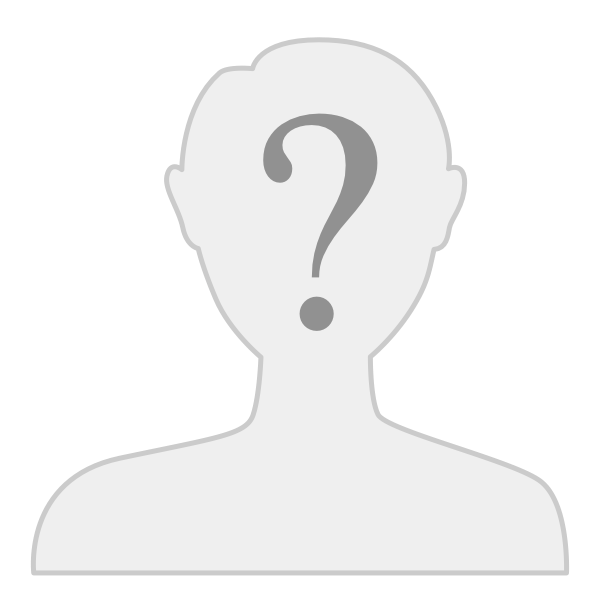 He was the brother of Sukhdeo's wife Rachael. A month ago, Sukhdeo himself was also gunned down. Both murders have not been solved. is sheer skont they are on. Foucking drug dealers moder skont. Fast life and fast living. Equals a fast kick to the bucket. Some things may be overdone, but it's the family wishes. Drug dealer or not, it's the farewell to someone deceased son. Remember when you said Osama Bin-Ladin should be given a decent burial according to Muslim right rather than dumping his body at sea? Wouldn't you like a send off like that? No, Mitwah. I want to be naked as I was born, covered with a sheet and cremated. Prince, I witnessed one Guyanese funeral like that. They put roast pork and rice in his coffin and pour a flatty on his body. The pundit refused on the spot to do the funeral rites. He was a non believer anyway. The funeral parlor took away the body to the cremation centre without any procession. Like I said, if you're going to do certain things, make sure you tell the people who attended the funeral, especially pundits who don't indulge with certain items. It can easily upset lots of people. It is not my place to comment on how anyone chooses to perform the funeral of their relative. I don't know of any of his dealings while alive so cannot comment on that either. However, if he had dealings that took advantage of others, I would then make further comment. Emotions become a huge part of any funeral and I think it should be understandable to give people so benefit for their actions while going through that period. I have been to many funerals including my own father's but the two most difficult ones for me were my mother and father in laws. In terms of years, I have known them longer than the years from my birth to my dad's death so that may have been a factor. I was also deeply affected by the cremation as it was too vivid for me. I do not possess the religious significance of the cremation to I cannot process it academically. For me, it was the physical destruction of a body which was difficult to comprehend. May God always bless my father and parents in law.